Paytm – Get Flat 50% Cashback upto Rs 150 Cashback on Booking 2 Movie Ticket (First Time). Paytm has come up with with New Deal for First time movie Ticket booking users, where you will get the Flat 50% Cashback upto Rs 150 Cashback on purchase of 2 Movie Tickets and No Minimum Purchase required. So Hurry up and book your Movie Tickets now !! How to Get Flat Rs 150 Cashback on Movie Tickets ? 4) Now start booking your tickets. Select the Movie, Date, Time, Cinema, Seats, etc. of your choice. 7) Once your Coupon code get Applied sucessfully, then Pay the amount using any of the Payment mode. 8) You will get the 50% cashback upto Rs 150 Cashback in your Paytm wallet soon. 1) Use promocode ‘Flat150’ to get Flat Rs 150 cashback on 2 ticket price. 2) The maximum Cashback amount that can be earned is Rs 150. 3) If you book tickets for Rs 200, you will receive Rs 150 cashback. 4) If you book tickets for Rs 300, you will receive Rs 150 cashback. 5) If you book tickets for Rs 400, you will receive Rs 150 cashback. 6) The offer is not applicable on cinemas which accept Advance tokens only (with Ticket Price to be paid at the counter). 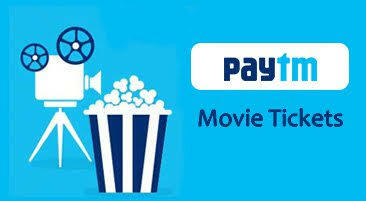 7) This promocode is only applicable for booking movie tickets on paytm.com and Paytm App. 8) Offer is valid for a Limited time only. 9) The promocode is valid on a minimum booking of two tickets. 10) Promocode can be used once per user during the offer period.